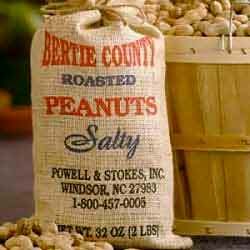 Our answer to the age-old question of what to get for that special someone: a Bertie County Peanuts Gift Certificate. Your Gift Certificate Redemption Code will be emailed to you once you place your order on the internet. Additionally, we will mail a gift certificate via Priority Mail to the shipping address you specify in your order. 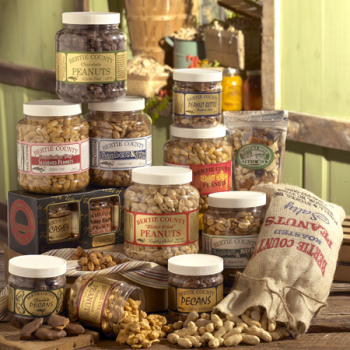 We will include your gift message and our most recent catalog. 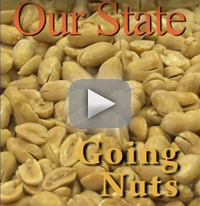 A Bertie County Peanuts Gift Certificate is sure to impress and will provide the recepient the opportunity to taste some of the best peanuts they've ever had. Gift Certificates must be redeemed on this website, via telephone or in person at our retail store in Windsor, NC. New! We now offer you the option of sending your gift certificate via email. That's right, just fill in your gift recipient's email address in the blank at the top of this page and then checkout. Your e-gift certificate will arrive immediately (or pretty darn close). I ordered a gift certificate for a friend for her birthday. It arrived so quickly, faster than I thought it would. My friend was thrilled with her gift! She absolutely loves the Chocolate Cashews!! Thank you for the quick, efficient service!